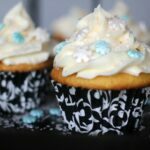 Cinderella Cupcakes - Frugal Mom Eh! Disney’s Cinderella was one of my favourite animated movies as a child. Even now Cinderella remains as one of my favourite Disney Princess movies. It’s such a classic and really captures the imagination of children between the beautiful princess, the evil stepmother and step sisters, the little mice and of course the dashing prince! 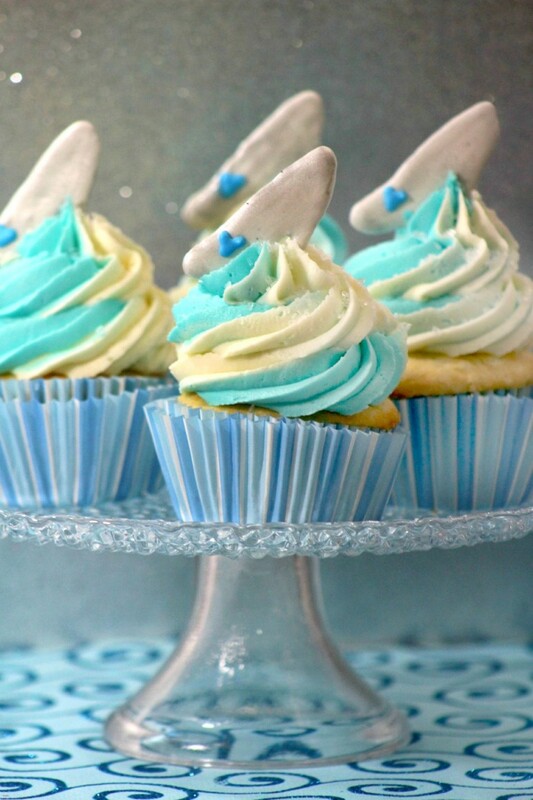 These Cinderella Cupcakes are inspired the Cinderella story right down to the pretty glass slipper. These would be great for a princess party! -Sift flour and baking powder together in a bowl. -Cream the powdered sugar and sweet cream together in a large bowl with an electric mixer. -Add the eggs one at a time to the powered sugar and sweet cream while continuing to mix. 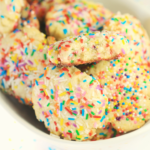 -Add the flour and baking powder combination to the powdered sugar, sweet cream, eggs, and vanilla bowl. -Slowly mix in the milk. -Stir to ensure all ingredients are thoroughly combined. -Bake at 350 degrees for 15-18 minutes. 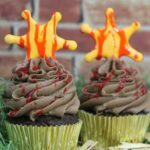 -Using a toothpick, check to see if the cupcakes are done. -Cool for 10-15 minutes on a rack. -Cream sweet cream and powdered sugar until it appears to be small pebbles. -Check to see if frosting can make and hold a stiff peak. -If not add 1/2 C more of powdered sugar. -If not add another 1/2 C of powdered sugar. -Divide frosting equally into 2 bowls. 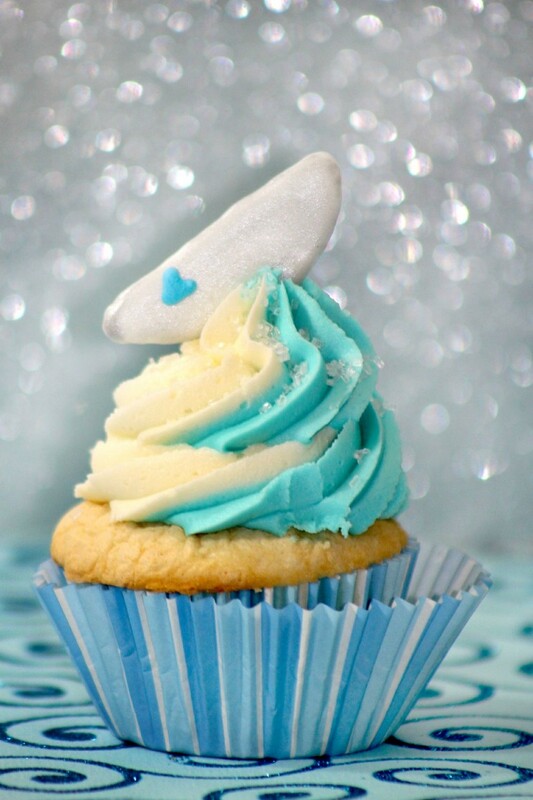 -Add 4-5 drops of blue food coloring to frosting in 1 of the bowls. -In a pastry bag with tip scoop in the white frosting. -Turn the pastry bag to the other side and add the blue frosting. 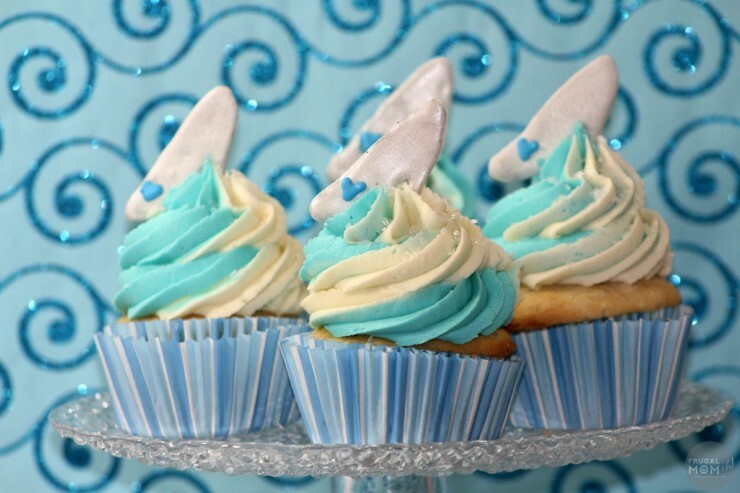 -Test the filled pastry bag with frosting to make sure the combination of frosting colors come out of the tip. -Combine all ingredients together on medium speed for 4 minutes. -If icing is not white add more powdered sugar. -Spoon a very small amount of the royal icing, add blue food colouring, stir to mix. -Search Google for the cartoon image of the slipper. -Copy/paste the image to word. -Print the copy of the slipper. -Tape the paper with the slipper on it to a cookie sheet. -Cut/tear the wax paper to fit the other page. -Tape the wax paper to the cookie sheet to cover the other page . -Using the royal icing with a #2 tip trace the slipper. -If it is to be outlined…Trace this first. -Fill in the slipper with more royal icing. -Add small blue bow to slipper with blue royal icing. -Allow to dry 5-10 hours. -If they allow you to push in they are not dry. -Once the slipper is dry….remove the tape from the wax paper holding it to the cookie sheet. -Cut the wax paper into squares surrounding the slippers. -Gently peel the wax paper from the back of the slippers. -Make a small cut in the centre of the frosted cupcake on the top in the frosting only. -Sit the prepared slipper in that small cut. 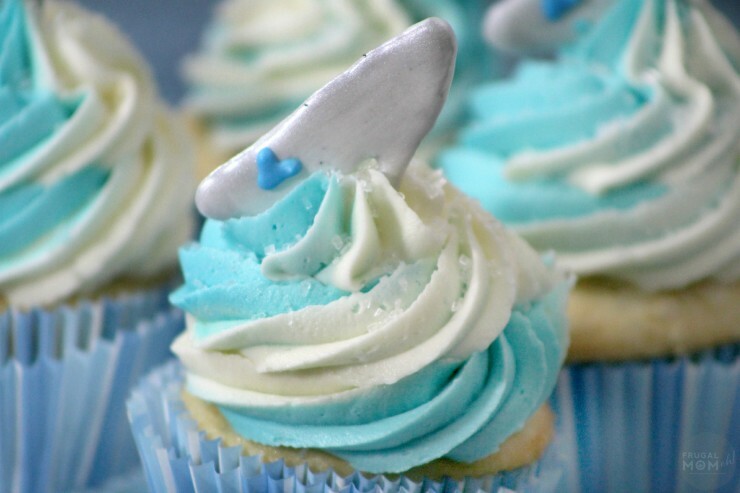 -Add 4-5 drops of blue food colouring to frosting in 1 of the bowls. 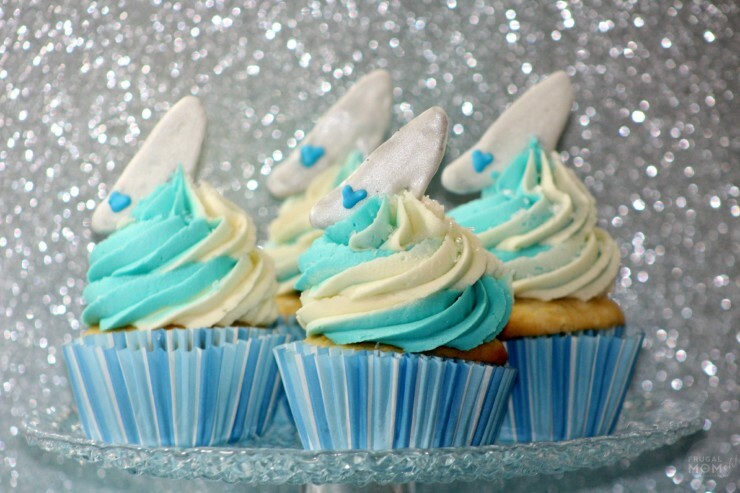 -Test the filled pastry bag with frosting to make sure the combination of frosting colours come out of the tip. -If it is to be outlined...Trace this first. -Once the slipper is dry....remove the tape from the wax paper holding it to the cookie sheet. These are super cute 🙂 I really love the two colored icing! I am very curious about the taste texture and pipe abability of the frosting recipe. 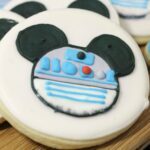 I love how these turned out – they are so cute! These are so pretty! My girls would love them for their upcoming birthday. These are exactly the kind of cupcakes my little great granddaughter would love.She would love the Cinderella theme and the shoe. She is celiac so we would have to buy a gluten-free cake mix. These are made here on PEI and are sold in some stores. Thank you for sharing with us.